With its iconic bassline, it will come as no surprise to learn that this classic track from 1980 was written by the band's bass player, John Deacon. Although John Deacon lacked the flamboyant nature of other band members, he had solid songwriting skills, even though he wasn't often the first choice for penning the band's tunes. For this track, Deacon was inspired by the disco band Chic and their song Good Times. Apparently, he was "hanging around" in the studio when they recorded the song. Indeed, Queen's track has a funky, disco groove and revolves around the very strong bassline. No synths were used to create the song and effects were created by using the reverse tape playback of instruments such as guitars, piano and drums. A harmonizer was used to add a spiraling effect and you can first hear this just before the start of Freddie's first lyrics. There were two different B-sides on the single release, with Don't Try Suicide included on the U.S. release and Dragon Attack included for the UK release. In early live performances of Another One Bites The Dust it was Roger Taylor who sang the lead vocal. Apparently, Michael Jackson suggested to Freddie Mercury that the band should release the song as a single, while he was attending one of their concerts in Los Angeles. 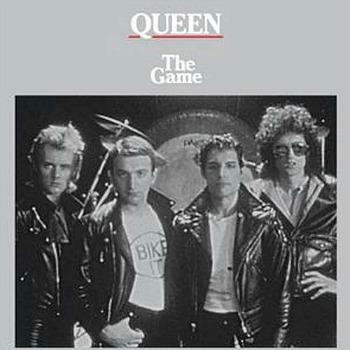 The single was lifted from Queen's eighth studio album The Game and topped the U.S. Billboard Hot 100 to become the band's best-selling single across the pond. It also reached #2 in the Hot Soul Singles Chart and Disco Top 100. Here in the UK the song reached #7, but deserved much better! By the way, the video above is an official clip from the Queen Official channel at Youtube. 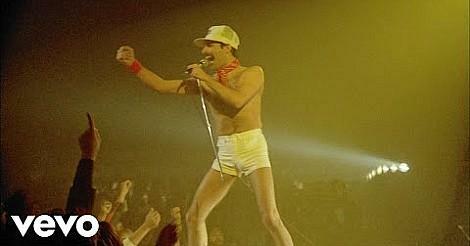 You can watch Queen performing the song live in Montreal (1981) in the video below.